Product prices and availability are accurate as of 2019-04-05 22:54:30 EDT and are subject to change. Any price and availability information displayed on http://www.amazon.com/ at the time of purchase will apply to the purchase of this product. Why pay more for lower quality glasses? Get twice as many glasses for a lower price than 2 elsewhere! ONLY COMPATIBLE WITH PASSIVE DUAL PLAY 3D TELEVISIONS! Compatible with LG's LM and CM series of TVs - OLED TVs: EA98 series - LED TVs: LM96, LM72, LM67, LM62, LA86, LA74, LA69, LA62, GA79, GA64, LM96, LM86, LM76, LM67, LM62, LM58, G2 series! 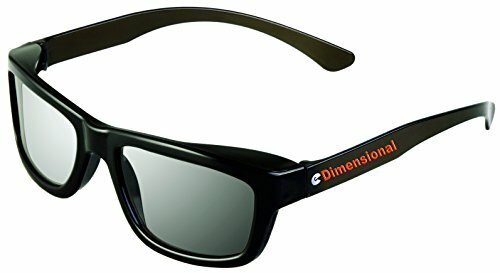 PLEASE NOTE: These glasses are Dual Play Glasses and will not work with active Shutter glasses applications or standard 3D Passive applications (such as watching 3D movies). Two player dual play compatible games are required and sold separately. While wearing our special light-weight and battery-free glasses, each player is only able to see his unique point-of-view (in 2D) and across the entire TV screen without being able to see the opponent's. No more having to share the TV screen and no more cheating by peeking at each other's screens while you battle it out in 2-player games such as Call of Duty - Black Ops II. Dual Play works with most current gaming systems or even older consoles as long as it is a split-screen game. 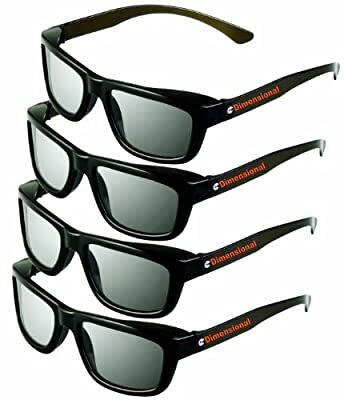 eDimensional is a registered trademark of eDimensional inc.
NOT STANDARD 3D GLASSES FOR 3D MOVIES! DUAL PLAY GLASSES ARE FOR USE WITH DUAL PLAY VIDEO GAMES! 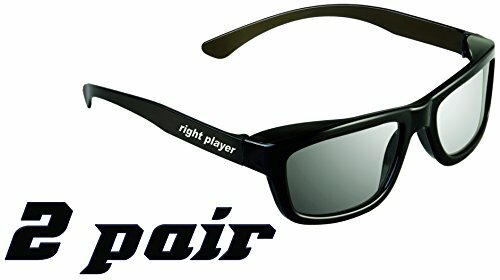 Best Price and Best Value for Dual Play Glasses! 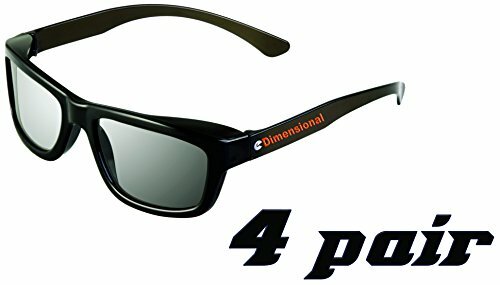 eDimensional 3D Glasses for Adults - 4 Pairs HIGHER QUALITY THAN OFFICIAL Manufacturers & Competitors 3D GLASSES AT A BETTER PRICE! 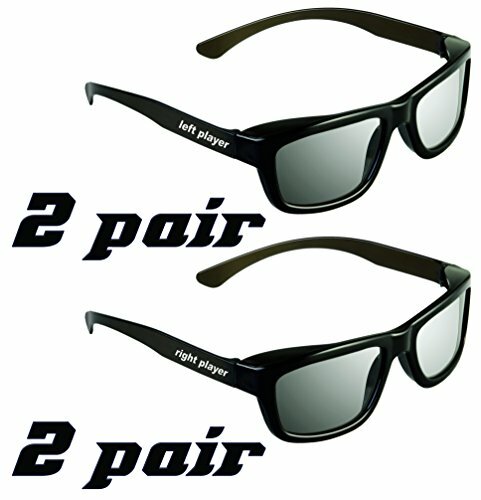 Includes: 4 Adult Premium Black Pairs of Dual Play Compatible Glasses, glasses cleaning wipes and instructions! Our ED glasses have higher quality + scratch resistant lenses & stronger plastic for a longer life!